I have noticed, recently, especially with the waning influence (or at least presence) of the “New Atheists” in the public square, that there has been a shift in the tack that Atheists have taken against Christianity in the past year or so. Philosophical movements generally begin in academia, then find themselves trickling down to the masses as those twenty-something college students that were influenced by these academic discussions now move on into the wider world. Both Atheism and Evangelical Christianity generally find themselves one generation behind in these philosophical developments of the world. So, for example, when the world was just beginning to move on into “post-modernity” (notwithstanding the functional meaninglessness of such terms at this point), it was the heyday of Atheistic and Evangelical evidentiary apologetics, representing firm pre-modernist, Enlightenment thought (on both sides). Arguments centered around the very existence of Jesus, fidelity in translation and transmission, Intelligent Design, and the general historical reliability of the Bible. For their part, Atheist arguments (exemplified by Sam Harris) focused on how Religion can only lead to violence, hatred, and intolerance–all things us “good, enlightened, progressives” would all agree we don’t want. 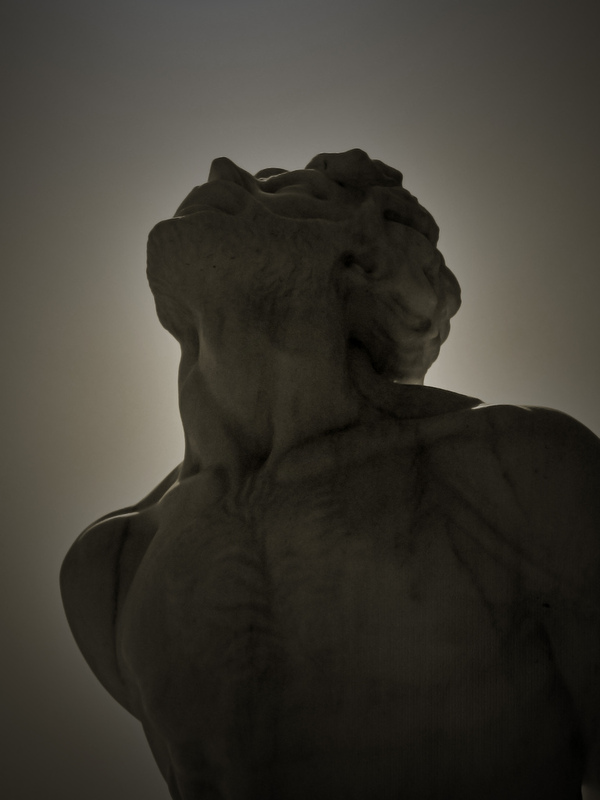 God was a moral monster–who would want to follow him if he even existed? Just as Evangelicals caricatured Atheists, so did Atheist paint all Religious people as being under a “God Delusion”. But on both sides, the claim was the same: if only the rest of the world would see that the belief of “other side” was inherently immoral, deluded, and illogical, then we could all get on with the business of ushering in the world as it “should” be–utopia. And yet, as these “New Atheists” and “Culture Warriors” wrote and spoke and debated and traveled and preached, the rest of us were caring more about two wars started in middle-eastern countries, an economy in decline, and a national “brand” and identity not worth much anymore. In the past year or so, I keep seeing Atheist speakers that (much like their Evangelical counterparts) no longer want to “combat” the “other side”, but rather want to “be in conversation” with them. To “re-evaluate” their truth claims and derive their beliefs and practices from a diverse set of sources–even those they disagree with. This was most popularized by Alain de Botton on his widely viewed TED Talk “Atheism 2.0“, where he more or less said (right along post-modern thought) that religion had a lot of good to offer us as humans, and Atheists should find those good ideas–liturgies, gatherings, intentionality, community, speaking, authority, etc.–and “re-purpose” them for Atheism. One of the things I criticize in the book is what I call “evangelical atheism” (Richard Dawkins, Christopher Hitchens, Sam Harris, all of that). I just find it infinitely dull. And rather pointless…. And for me, [this] work is just another progressivist, quasi-theological narrative. It’s not the unfolding of God’s plan but the unfolding of an evolutionary form of design. So I’m not a triumphant atheist, and never have been. To disavow religion, or to think of it as nonsense is just a non-starter, from my position….The debate over whether you believe in a god, or don’t believe in a god, is massively irrelevant to me. There is an experience of faith, which we can try and describe. If that needs to be capped off by some belief in God, okay. But that’s not really what’s important about it, it seems to me. And so, Atheism is now heralding a certain kind of philosophical and theological relativism where it triumphally declares that it alone has the clarity and wisdom to see across the whole landscape of human knowledge, reality, and experience and properly pick what it “likes” and “doesn’t like” from the various schools of thought out there. This is, more or less, the theological application of the moral and cultural relativism we twenty-somethings were enmeshed in 5 or 6 years ago. But, in practice, it’s actually much older. What is religion? Difficult question. But one thing that could be said is to link religion to the Latin religare, a binding together. Religion, as a binding together, can be a binding together in association. It seems to me that religion, in its strongest articulation, makes possible forms of collectivity, commonality. Religion can tell us a lot about association. And there’s something about the religious power of association that fascinates me…. Well, religions are fictions, right? Beautiful fictions. Supreme fictions. Fictions of the end of the world, the last judgment, the final vocabulary, that whole thing. And so, for me, fiction is not something that needs to be escaped in order to seize hold of objective fact. Fiction is something that needs to be accepted. It’s strange reading his interview. He comes across as genuinely humble and interested in the truth and novel ways of looking at things, and yet this perspective is shockingly arrogant and belittling to faith. He doesn’t seem to acknowledge the authority and omniscience he would need to have to proclaim such philosophical clarity on the nature of reality as he does. And ultimately, I believe this “New” post-modern Atheistic enterprise is speaking to a generation no longer with us, and as such, won’t be found compelling. It suffers from the same problem as post-modernism. This was its predicament (and ultimate undoing): in post-modernism, we lost what humans have always needed to be compelled–story. In a sense, we were in exile. The Utopia that was being promised to us as being just behind the last Atheist or Evangelical held no appeal. Post-modernism–the language everyone had been speaking–had given us the resources to see that Utopia is no objective reality that we could just muster up our resources to attain. All the apologetic arguments about how “those other people” are bad and immoral gave us no compelling story to hold onto. When the Israelites were in exile, and their own “Utopian” enterprise seemed to have failed, what did they need? Another story. And so the books of 1 and 2 Chronicles were written as a re-casting of the story such that their exile made sense. Critchley’s re-casting doesn’t make sense. He’s still in theological relativity, deconstructing meta-narratives, when the rest of us are trying to pick back up the narrative pieces of modernity (and an inadequate over-reaction in post-modernity) and figure out what existence means. Why are things the way they are? Can they be any different? How? Critchley was right to point out that the word “religion” comes from the latin word religare, but he gave the wrong translation. The “binding together” comes from the ligare part (where we get the word “ligament” from), but he forget that all important prefix of re-. “Religion” is not a “binding together”. It’s a “binding together again“, presupposing an “unbinding” that has occurred. What is Critchley’s best answer to this sense of alienation we experience from those around us and the world inside, outside, and above us? We all live our lives based on fictions through which we can not see, using faculties we cannot trust. And so, he says, instead of fighting these fictions, we just need to embrace them and see their beauty. And you know what? I agree with him. I think post-modernity did wonderful things for the church and helped us finally awaken from much of the modernist fog in which we had been. I believe it was a move of God that brought post-modernity to the church, to help it. [Love] is completely illusory. But what is real in comparison to that? Illusory as opposed to what? Concrete? Pavement? So love, in this sense, is a fiction, sure, but love would be a supreme fiction. I think it would be precisely that: love would be a supreme fiction that we know to be a fiction, there being nothing else. But in which we still believe. I think it’s a good formula for love. He says love is illusory because it’s not “real” like “pavement” or “concrete”. And if this one fact is true, then all else he says is absolutely correct. And yet, the Christian story is one where Love Itself walked the pavement of streets on this earth, inhabiting time and space, taking on himself the wrath–not of fictions–but of realities and then changing them in the alchemy of the tomb into that which we call life. Love, the fiction, the illusion, became real in the truest sense of the word. And so, in a sense, may we accept Critchley’s call, holding fast to our story of love, with faith. And may we begin to learn how to articulate this story to a world watching, waiting, burning for a Story to compel them all the more into the realities of life rather than further from them. ← Join Us for a Tour of Biblical History at the Penn Museum this Saturday!